Expect rain chances throughout the day and severe weather chances overnight. An upper-level area of low pressure will move through the state on Wednesday allowing for another round of numerous showers and thunderstorms, some of which will be strong to severe. Large hail, possibly as large as 2 inches in diameter, looks to be the primary threat. 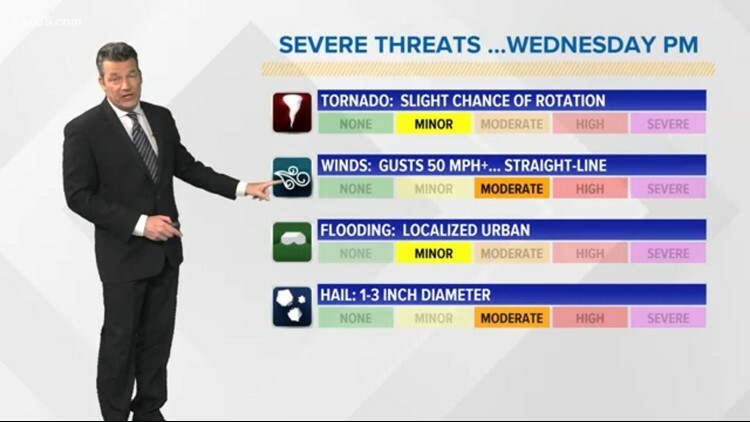 Severe storms producing damaging winds and isolated tornadoes will also be possible late Wednesday through the early morning hours of Thursday. Heavy downpours could also trigger minor street and creek flooding. A severe thunderstorm watch is in effect until 2 a.m. for Bexar County and much of South and Central Texas. 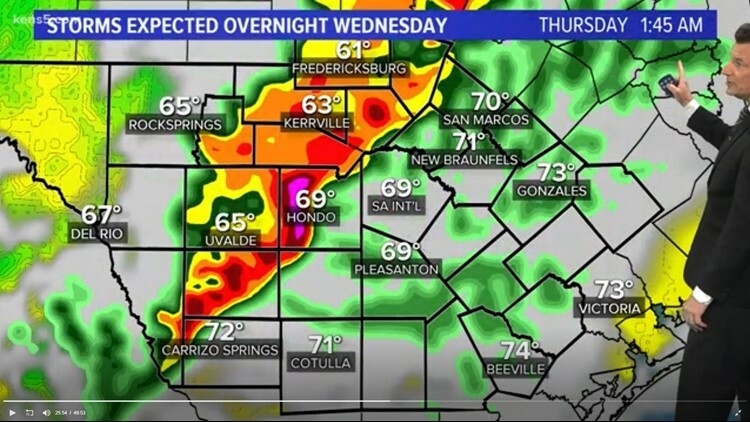 The main event begins by 10 or 11 p.m. out west, into the Hill Country for midnight to 1 a.m. That system will then come through the city between 2 and 4 a.m. 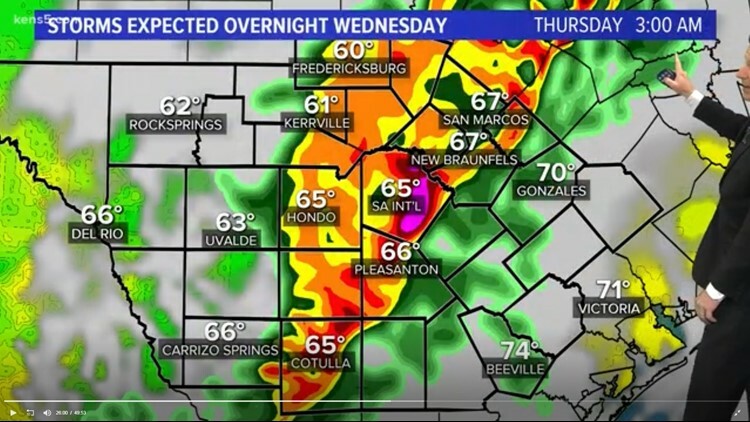 The storm will move away from Bexar County pretty quickly Thursday morning. We could see clearing as early as 7 a.m., but no later than 9 a.m. Thursday.